Resource therapy is based on the belief that your personality consists of different parts and the special manner in which these parts combine makes your personality unique from anyone else’s. The resource therapy theory also acknowledges that a part is often in conflict with another part. For instance, one part of you want to work out and live a healthy lifestyle but another part wants you to continue missing your gym sessions and eating unhealthy food. If you are unable to stop habits that you find unpleasant such as being a workaholic, alcoholism, gambling or smoking, this is evidence that our personalities are made of different parts. You might also have witnessed the conflict between these personality parts if you have been near someone struggling against an addiction. You might have noticed that such a person can clearly explain the dangers of the addiction but is unable to make the necessary steps to overcome the addictive substance or habit. Resource therapists consider these conflicting aspects of your personality as resources that should work together in harmony to create a beautiful personality that’s beneficial to you and those around you. If you are struggling to stop doing something harmful or to start doing something beneficial is therefore an indicator that your parts/resources are not in harmony. The therapy is therefore intended to help you restore the harmony. Resource therapy practitioners understand that the part that is doing the unwanted act is not the problem but a manifestation of a bigger, underlying issue. The part is therefore trying to cushion you from some unpleasant feeling by distracting you using the unwanted behavior. For example, the underlying problem might be a problematic childhood. To suppress the feeling of being unwanted or sadness or even violence, you might find yourself overexerting in work or addicted to some unwanted behavior. The therapist, therefore, will not try to treat the gambling or drinking addiction. Instead, he will address help you confront the problematic childhood, and make peace with it. Through this, the therapist will be empowering the part of you that has been cushioning you from the feelings that remind you of the problematic childhood thus reestablishing the original balance. The scope of resource therapy goes beyond addictions, and the famous emotional problems. You might find yourself underachieving in your area of work yet you can't point out what exactly is happening. This usually affects people in sports and arts such as athletes, sports players, musicians, and even artists. This is usually attributable to an underlying emotional issue that prevents you from executing the moves you need to win or perform efficiently. Through resource therapy, you can identify underlying problem and the associated part of your personality and find a solution. Due to its approach of treating the underlying cause rather than the symptom, resource therapy has been proven to be the fastest form of therapy. If you, or someone you know has been struggling to overcome addiction, emotional stress, trauma or failing to achieve maximum potential, contact me to help you regain your inner balance and fulfil your personal potential. 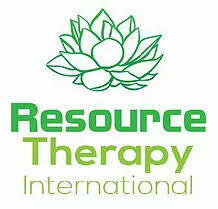 I am a clinically qualified resource therapist and am here to help.